In the third book in the Edgar Award–nominated and national bestselling Echo Falls series, Peter Abrahams's talent for building suspense shines as Ingrid embarks on her most harrowing adventure yet. 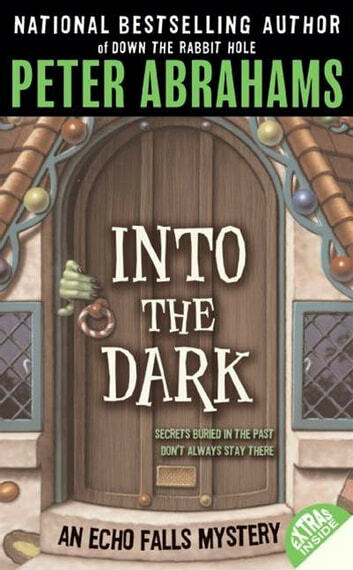 Perfect for middle schoolers looking for a good mystery. An idyllic day of snowshoeing on Grampy's land with the sheriff's son, Joey, turns out to be less than idyllic when thirteen-year-old super sleuth Ingrid Levin-Hill stumbles on a body lying in the snow. This discovery sends the town of Echo Falls into a tailspin in which secrets long hidden are revealed and Grampy gets sent to jail. While Ingrid works to clear Grampy's name and uncover what really happened to the man in the snow, she discovers even more secrets she wishes she never knew. 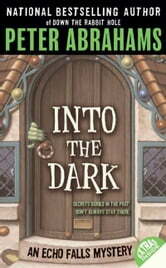 Just like the character Gretel, whom Ingid is playing in a local production of Hansel and Gretel, Ingrid must go deep into the darkness to find the truth. The Kliatt reviewer commented: "I’ve read the two previous Echo Falls mysteries featuring Ingrid (Down the Rabbit Hole and Behind the Curtain) and enjoyed them, but I think this one may be the best of all."